Every once and a while I’ll discover a haunted location that completely captivates me, even though I’ve never stepped foot inside. Malvern Manor is one of those places. 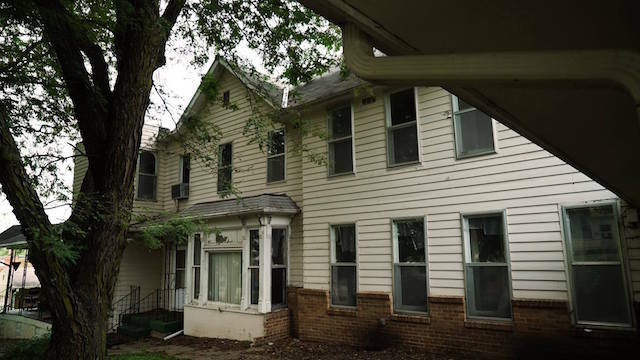 There’s something about the shabby white building located in Malvern, Iowa that screams haunted. I often find that when buildings have gone through many incarnations they have that type of energy about them, as if the ghosts still residing within its walls are all fighting to have the building remembered for what it was when they were alive. Built in the late 1800s, Malvern Manor was a family-owned hotel that served as a comfortable place for traveling salesmen to rest their heads after long journeys across the country. For two dollars a night you got a warm bed and hot meals, and because of its close proximity to the railroad, the hotel was a success and booked solid nearly every night. Unfortunately, as the popularity of automobiles slowly killed train travel, the hotel was forced to close its doors and was converted into a convalescent home and minimum care facility. For many years the building housed patients that ranged anywhere from alcoholics seeking treatment all the way up to schizophrenics. As I’m sure you can imagine, with such a wide range of disorders and disabilities, care wasn’t always top notch at Malvern Manor. 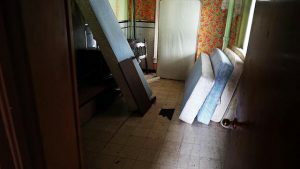 Over the years both the staff and patients have shared horror stories about the abuse and neglect which occurred during the years Malvern Manor was in service. 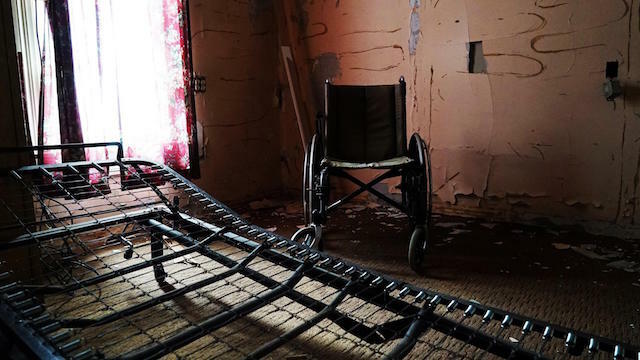 In fact, the terrible mistreatment of the patients is one of the main reasons that paranormal investigators believe that the building has become haunted by so many strange and sorrowful spirits. 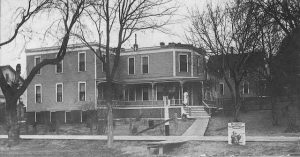 While there are many entities and manifestations experienced inside Malvern Manor, one of the most famous ghosts said to haunt the building is that of Grace, a patient who spent her life living in the building. Grace was one of the more disturbed patients at Malvern Manor, as she suffered from both Schizophrenia and Multiple Personality Disorder. During the evening’s, staff would often hear a man’s voice echoing from Grace’s room chanting “the Devil’s coming to get me,” over and over again in a low, gruff tone. It was only when they entered the room that they discovered the voice to be coming from Grace herself, as “the man” was just one of her many personalities. To this day, Grace’s room remains one of the most paranormally-active in the entire building, providing ghost hunters with a near-constant source of activity. 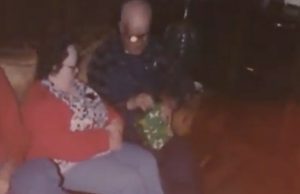 In fact, many paranormal investigators who’ve spent a good amount of time in the room begin to believe that Grace’s multiple personalities have continued to exist, even in the afterlife. Disturbing EVP recordings in multiple voices, including the gruff tones of the “Devil Man”, accompany an overwhelming sensation of been watched are regular occurrences in the small room. Another active area inside Malvern Manor is a room that once belonged to a woman who was admitted to the convalescent home at a relatively young age by her husband. She had become obsessed with the idea that he no longer found her attractive and the thought began to dominate her every waking moment. Obviously worried about his wife, her husband had her committed in order to help her receive treatment, but unfortunately, nothing helped. Staff would find her standing at the mirror in her room, slowly pulling her hair out chunk by chunk. She was medicated, but continued to slowly deteriorate, dying shortly afterwards. Visitors often report seeing her, still standing at the mirror, pulling out her hair with an angry expression on her face. 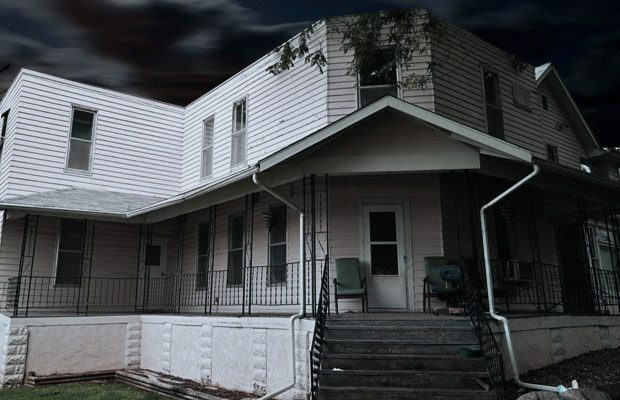 Malvern Manor’s most frightening phantom, though, is a dark, inhuman manifestation often felt and seen by investigators who believe the overbearing presence has been drawn to the building thanks to the years of negative energy fostered from abusive staff and mentally-unsound patients. That malevolent energy is most often felt in the rooms below the attic, which investigators know belonged to two patients, one of which spent years physically and sexually abusing another resident before staff discovered. That area seems to be the center of the darkest activity, and when you consider what was happening in that part of Malvern Manor, its no surprise that the most sinister force would claim that space for itself. It was that extreme energy which drew paranormal investigators Nick Groff and Katrina Weidman to Malvern Manor, where they spent 72 hours locked inside the building for an upcoming episode of TLC’s Paranormal Lockdown. Hopefully during their time inside the home, they managed to get to the bottom of some of the more sinister activity plaguing both the spirits that reside in the building and the living who care for it. The episode is slated to air on February 10. 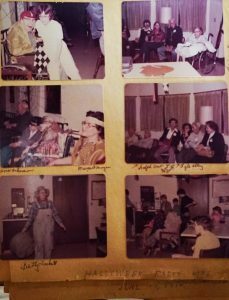 If you’re interested in visiting Malvern Manor does host tours and investigations! Until I visit Malvern Manor for myself, there’s a good chance my curiosity and fascination with the haunted building won’t be satisfied. When that happens, I’ve found that there’s a good chance you’re meant to visit, perhaps to make contact with one of the spirits, maybe to discover one of the buildings many puzzle pieces, or to help those still inhabiting the location find peace. Maybe I’ll find out soon.